Foldable OLED displays are exciting - as these displays will enable new device form factors - such as phones that open into tablets, smart bands that open into smartphones and more. In 2019 we will finally see the first foldable smartphones on the market! In 2013, Samsung kicked off the foldable OLED market, sort of, when it announced its YOUM flexible OLED brand, showing off several flexible OLED prototypes - including a foldable phone/tablet. 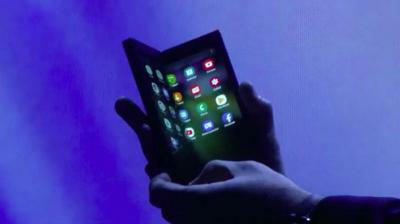 Samsung never used the YOUM brand name again, but Samsung has continued to develop its foldable OLED technology. 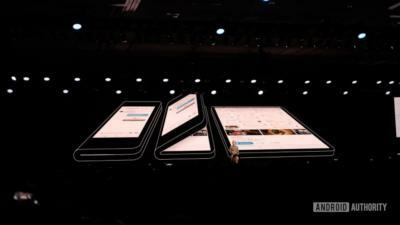 Samsung's first foldable device will have two screens - a large 7.3" 1532x2152 (361 PPI) foldable AMOLED that folds inside, and a smaller 4.5" 840x1960 AMOLED that is used when the phone is closed. Samsung brands the display as the Samsung Infinity Flex Display. The Galaxy F is relatively thick and bulky - and will carry a very high cost and be produced in limited volume. 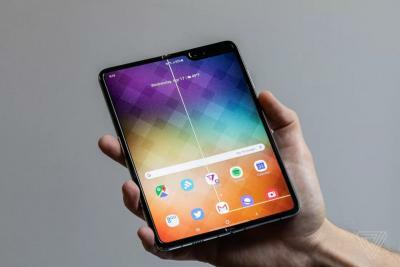 Other companies are also developing such devices - Royole is already shipping a "developer" edition of the FlexPai phone/tablet, with its 7.8" 1920x1440 (308 PPI) AMOLED display that fold outwards. Xiaomi has teased a beautiful tri-folded OLED smartphone and Huawei will unveil its first foldable smartphone in MWC 2019. 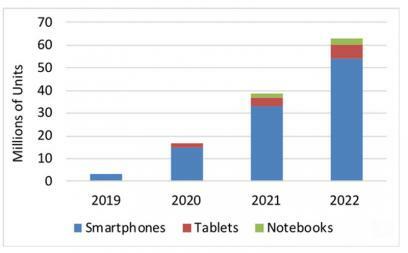 Samsung Display is not the only display maker to develop foldable OLED technologies. China's BOE Display seems to be another leading foldable OLED developer. In May 2018, BOE demonstrated several impressive new technologies, including a 6.2" 1440x3008 foldable (1R) OLED display with a touch layer and a foldable 7.56" 2048x1535 OLED. According to reports, BOE is working with three companies, including Huawei, with four different devices under development. 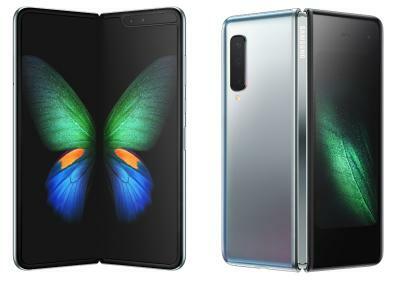 In September 2018, Chinese smartphone maker Nubia unveiled its first foldable device, the Nubia Alpha. 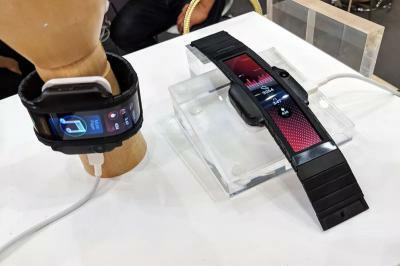 The Alpha uses a tall and slim foldable OLED and turns from a slim phone to a wearable smartwatch. Nubia claims that the device will ship in China by the end of 2018. The producer of the Nubia Alpha's display is China-based Visionox. Visionox is also supplying the OLEDs to Xiaomi's prototypes. Besides Samsung, Visionox and BOE, other display makers have demonstrated foldable OLEDs, but it seems that none are as mature as Samsung and BOE. LG Display has been reportedly collaborating with Apple, Google and Microsoft on this project (this hasn't been confirmed) but its plans are to release its first panel only in 2020. Tianma also demonstrated foldable OLEDs in 2018, and so did Everdisplay and Royole- but it does not seem as if these companies are ready to begin production in the near future. 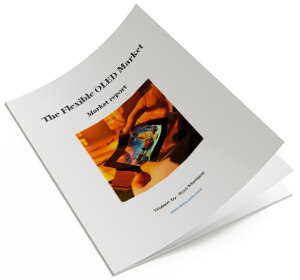 The report package also provides a complete list of flexible OLED developers and makers and their current (and future) products, and a lot more. Read more here!